Ok, I cut down a sizer so an AC threaded barrel fits. It does fit but the bores don't line up. That is why I counterbored my barrels. I had to take a 1/2" off the sizer. So, if you want to use a AC barrel you have to cut .250 +/- .002 off the end and counterbore .250dp. x .782 +.000 -.002 for the id. Our other option is to make a longer breach and put another o-ring on the shell to center it to the barrel. The barrel modification sounds the least expensive. I would still like to see a magic barrel. If there is I will make a breach for it. 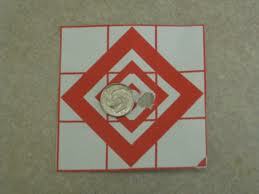 It has been our limited experience that FS is a 100% 1shot kill at 60 yards. From 70 to 100+ yards is the iffy zone and of course the accuracy degrades the further out it goes. Yeah, I don't want to butcher my sizers. I'd rather bore a barrel (or actually a .686 brass insert if what I'm thinking will work). That Lapco fsr barrel is the best for shooting first strikes, but you can't shoot regular paint through it. What Lapco barrel are you talking about? I have a .686 Lapco FS barrel for my 8.1 and it shoots regular paint just fine. More like rifled diamond titanium ported whoosh barrel! I had it made to my specs. and I don't think you guys realize what machining setup labor and matrials cost ? If ccm was to charge us for it, you do know that none of use could afford a SR-1. Once I get my barrel to the SR-1 specs and it if it works as designed to. Maybe just maybe I'll do a run of them. Dont forget tooling costs. Especially if your machining titanium, you will need some good tools. I am a CNC operator, and i agree, if people knew what it took to make a lot of things they would not cry about prices so much.